Alison McQueen’s book, Political Realism in Apocalyptic Times (Cambridge University Press, 2017) contains a chapter on Hobbes, alongside chapters on Machiavelli and Morgenthau. It is available now as an ebook, and will be published in hardback in February. A new German edition of De cive is now available. Thomas Hobbes: De cive/ Vom Bürger is edited by Andree Hahmann and Dieter Hüning. Peter Auger, ‘The Books of Tho. Hobbes’. Daniel Luban, ‘Hobbes and Slavery’, Political Theory, first published online: October 6 2017 (DOI: 10.1177/0090591717731070). 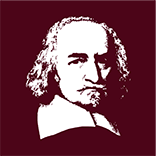 Abstract: Although Thomas Hobbes’s critics have often accused him of espousing a form of extreme subjection that differs only in name from outright slavery, Hobbes’s own striking views about slavery have attracted little notice. For Hobbes repeatedly insists that slaves, uniquely among the populace, maintain an unlimited right of resistance by force. But how seriously should we take this doctrine, particularly in the context of the rapidly expanding Atlantic slave trade of Hobbes’s time? While there are several reasons to doubt whether Hobbes’s arguments here should be taken at face value, the most serious stems from the highly restricted definition that he gives to the term “slave,” one that would seem to make his acceptance of slave resistance entirely hollow in practice. Yet a closer examination of Hobbes’s theory indicates that his understanding of slavery is less narrow than it might initially appear—and thus that his argument carries a genuine political bite. Hobbesian Applied Ethics and Public Policy, edited by Shane D. Courtland (Routledge, 2018). About this book: Most philosophers and political scientists readily admit that Thomas Hobbes is a significant figure in the history of political thought. His theory was, arguably, one of the first to provide a justification for political legitimacy from the perspective of each individual subject. Many excellent books and articles have examined the justification and structure of Hobbes’ commonwealth, ethical system, and interpretation of Christianity. What is troubling is that the Hobbesian project has been largely missing in the applied ethics and public policy literature. We often find applications of Kantian deontology, Bentham’s or Mill’s utilitarianism, Rawls’s contractualism, the ethics of care, and various iterations of virtue ethics. Hobbesian accounts are routinely ignored and often derided. This is unfortunate because Hobbes’s project offers a unique perspective. To ignore it, when such a perspective would be fruitful to apply to another set of theoretical questions, is a problem in need of a remedy. This volume seeks to eliminate (or, at the very least, partially fill) this gap in the literature. Luka Ribarević: Leviathan and medieval universitas: Hobbes’s debt to canon law, History of Political Thought, 38 (2017), pp. 92-109. Abstract: According to communis opinio, Hobbes in Leviathan presented the first thoroughly modern theory of political order. Combining ideas of individualism, political representation and sovereignty, Hobbes constructed his revolutionary notion of the state. However, the ancestry of the conceptual apparatus implied in Hobbes’s definition of the state as legal person produced through a process of political representation can be traced back deep into the pre-modern era. It has been remarked that the Roman law was one of the key sources of Hobbes’s science of politics. The main thesis of this article is that Hobbes relied not so much on the Roman law of imperial codifications as on its medieval ecclesiastical adaptation in the form of Canon Law. Abstract: Thomas Hobbes’s laws of nature dictate the making and keeping of the social contract. In addition, Hobbes’s natural law theory considers traditional moral virtues, such as mercy and gratitude, as being conducive to peace. Some Hobbes scholars have argued that these other natural laws call for ‘forgiveness’ and facilitate ‘reconciliation’. However, as this essay shows, Hobbes does not use these terms to mean the reparation of broken relationships between victims and perpetrators. Rather, Hobbesian reconciliation refers to efforts to propitiate enemies in order to win their favour, while forgiveness is a synonym for pardon, in the sense of punishment-forbearance. It is argued that neither of these requires true remorse and reparation of the wrong done. By contrasting Hobbes’s conception of anger with that of Aristotle, the article provides an explanation for why Hobbes maintains that the rage of enemies could be appeased by instrumental calculations of expected benefits, thus ignoring more deep-seated resentments caused by moral wrongs. Gianni Paganini: ‘Thomas Hobbes Against the Aristotelian Account of the Virtues and His Renaissance Source Lorenzo Valla’, in Cecilia Muratori and Gianni Paganini, eds., Early Modern Philosophers and the Renaissance Legacy, Springer, 2016, pp. 221-37. Abstract: This chapter concentrates on the “ethicist” interpretation of Hobbes’s theory of morals, considering whether and how a more historical and contextual approach could confirm or disconfirm this sort of reading of Hobbes. In this connection, it will be shown that knowledge of Hobbes’s Renaissance sources, first of all Valla, can help us to avoid not only historical but also philosophical misunderstandings, such as dismissing Hobbes’s objections to the Aristotelian theory of virtues. For his scientific approach to ethics that excludes the doctrine of mesótes, for his stressing the value of pleasure and self-preservation, for his criticism of the classic and Renaissance concept of “glory”, Hobbes reveals himself to have been influenced much more by Valla’s similar topics than by Aristotle’s approach, as Leo Strauss in the past and more recently Boonin-Vail and Ewin thought. Arash Abizadeh: ‘Hobbes on Mind: Practical Deliberation, Reasoning, and Language’, Journal of the History of Philosophy, 55 (2017), pp. 1-34. Abstract: Readers of Hobbes usually take his account of practical deliberation to be a passive process that does not respond to agents’ judgments about what normative reasons they have. This is ostensibly because deliberation is purely conative and/ or excludes reasoning, or because Hobbesian reasoning is itself a process in which reasoners merely experience a succession of mental states. I argue that, for Hobbes, deliberation (the basis for voluntary action) is not purely conative and among humans it involves reasoning. Furthermore, while non-linguistic reasoning is passive, specifically linguistic reasoning is an active process in which reasoners affirm propositions from which they reason. The historical significance of Hobbes’s account of agency lies in his attempt, by appealing to the artificial tool of language, to weld a materialist determinism to a cognitive account of practical deliberation that can involve reasoning and be reason-responsive. About this book: Today, politicians and intellectuals warn that we face a crisis of civility and a veritable war of words polluting our public sphere. In liberal democracies committed to tolerating diversity as well as active, often heated disagreement, the loss of this conversational virtue appears critical. But is civility really a virtue? Or is it, as critics claim, a covert demand for conformity that silences dissent? Mere Civility sheds light on our predicament and the impasse between “civilitarians” and their opponents by examining early modern debates about religious toleration. As concerns about uncivil disagreement achieved new prominence after the Reformation, seventeenth-century figures as different as Roger Williams, Thomas Hobbes, and John Locke could agree that some restraint on the war of words would be necessary. But they recognized that the prosecution of incivility was often difficult to distinguish from persecution. In their efforts to reconcile diversity with disagreement, they developed competing conceptions of civility as the social bond of tolerant societies that still resonate. Most modern appeals to civility follow either Hobbes or Locke by proposing to suppress disagreement or exclude persons and positions deemed “uncivil” for the sake of social concord. Compared with his contemporaries’ more robust ideals, Williams’s unabashedly mere civility—a minimal, occasionally contemptuous adherence to culturally contingent rules of respectful behavior—is easily overlooked. Yet Teresa Bejan argues that Williams offers a promising path forward in confronting our own crisis of civility, one that fundamentally challenges our assumptions about what a tolerant—and civil—society should look like.